The physiological teat with Anti-Colic Valve is particularly soft and elastic and simulates the maternal breast as much as possible. 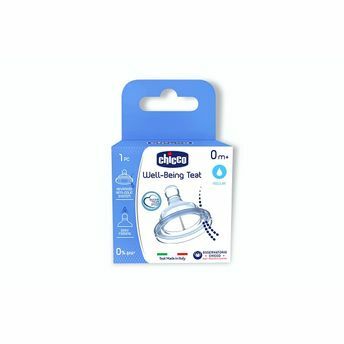 It is intended for the feeding bottles and accessories of the Chicco Wellbeing range. Anti-Colic Valve avoids the swallowing of air and helps to reduce colic, hiccups and regurgitation.